Be happy and drink happy! It's a great way to live life. From coffee to wine, stainless steel keeps your beverage of choice at your preferred temperature for hours and will last for years to come. 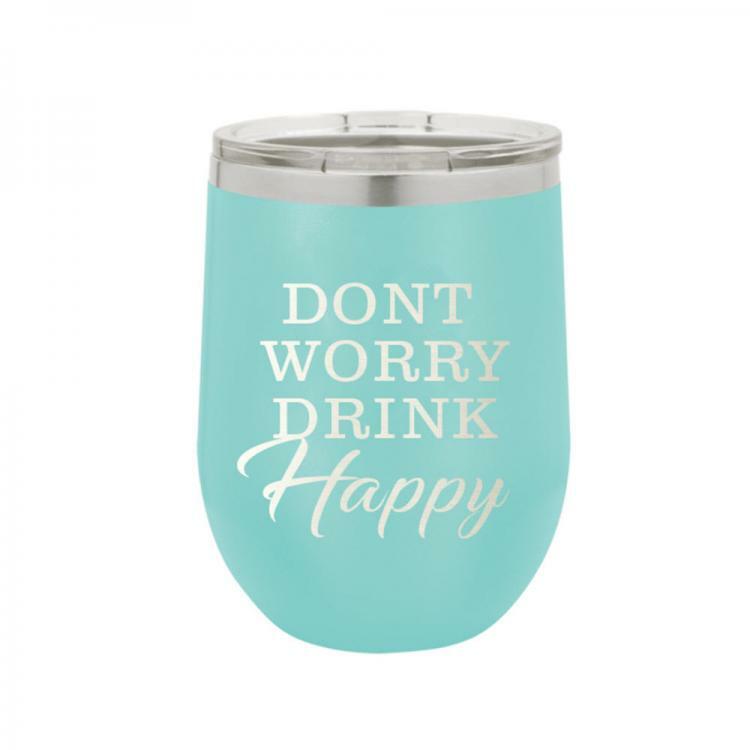 This tumbler is a wonderful way to add positivity to any day. Price: $28.00 In stock! - Browse this brandOur products are custom made to your specifications. This product ships up to 1 weeks after your order is placed.